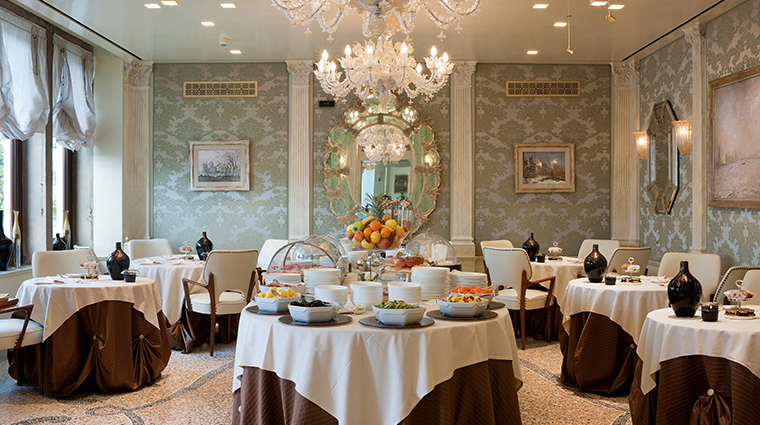 Set right on Riva Degli Schiavoni, Hotel Londra Palace’s neoclassical beauty threatens to outshine its surroundings — even though you have plenty to look at, thanks to the hotel’s striking views of the lagoon and San Giorgio Maggiore island. 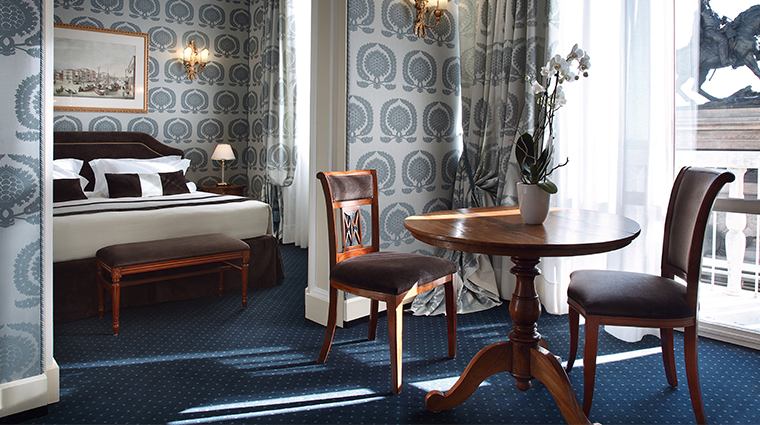 The intimate hotel has just 53 rooms and suites, but it has style to spare. Common areas boast crisp and elegant decor (light-colored walls, wooden accents, plush chairs and, of course, sculpted chandeliers). Guest rooms are outfitted with a more 19th-century aesthetic seen in the tapestry-draped windows and brocade-clad walls, antiques and Biedermeier-style furniture. Each room varies slightly to ensure a unique charm, but the bathrooms — bedecked in pink Carrara marble —consistently offer a generous amount of space. Thanks to a courteous staff and a veranda perfect for alfresco refreshments, the hotel’s Londrabar is the smart place to while away the morning, afternoon or night. Common areas boast crisp and elegant decor (light-colored walls, wooden accents, plush chairs and, of course, sculpted chandeliers). 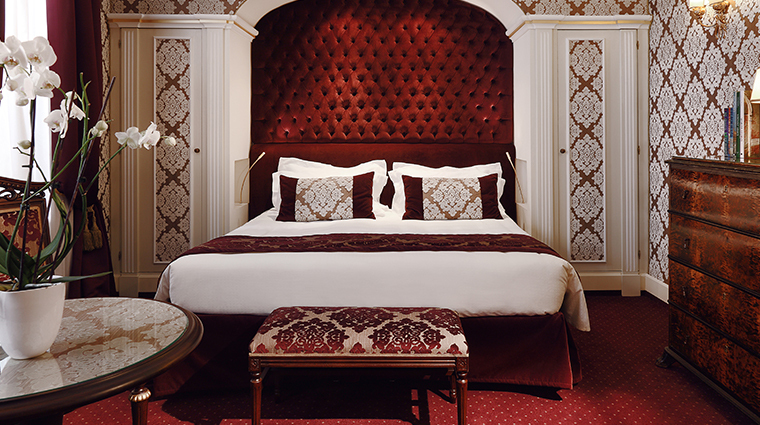 Hotel Londra Palace offers memory-making experiences that are great for an anniversary or honeymoon. 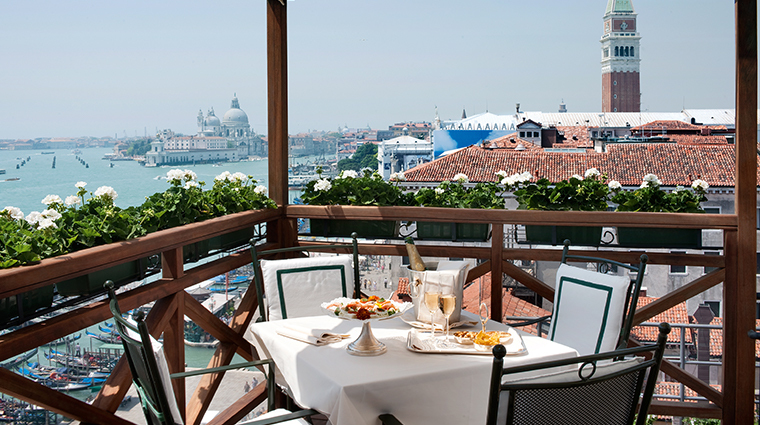 Enjoy panoramic views of Venice during a picnic on the hotel’s rooftop terrace or on a private gondola ride through the Grand Canal. 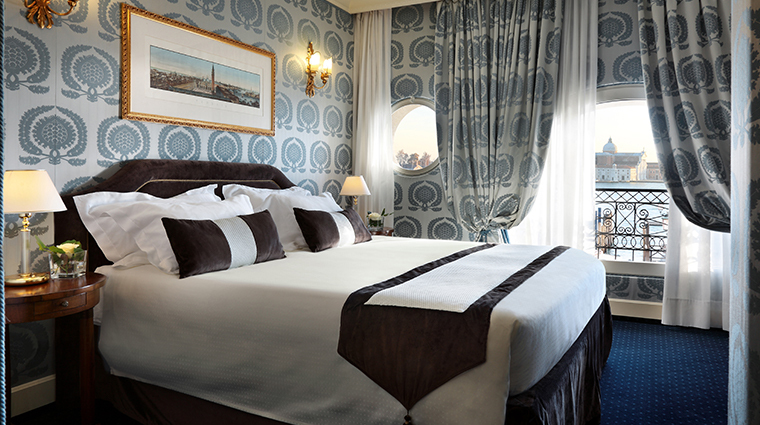 Rooms and suites offer views of the city or of the San Marco Basin. To get the most out of the scenery, request a unit with a balcony or terrace. The Venice hotel is located right on the Grand Canal, so it’s incredibly easy to make your way to St. Mark’s Square and the city's other popular landmarks.